Good morning/afternoon dear fans (I’m a little confused about what time zone I’m in, I did a lot of travel yesterday). Just posting a very quick blog entry to tell you I’ve arrived in style. 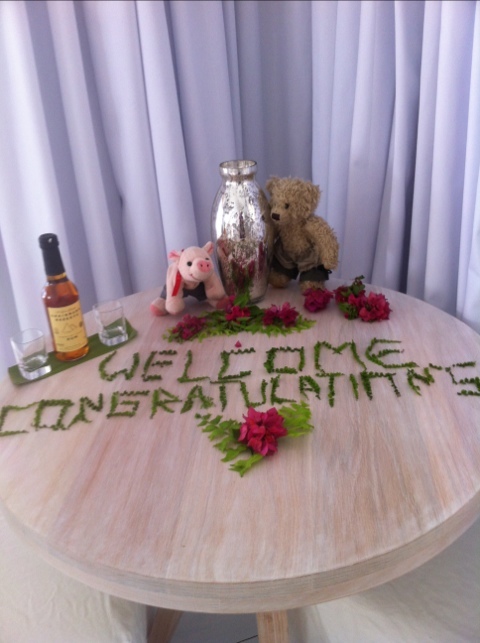 The hotel upgraded us to a beach front villa (I’m that famous) and they even put out a congratulations sign for me and Ted (for our party last week obviously). They put a bottle of rum with it too. Mummy said it was for the adults but look at the size of the glasses, obviously for us! 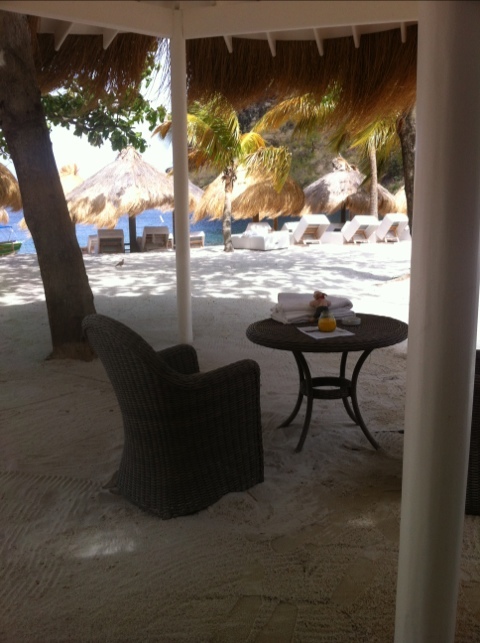 This entry was posted in Uncategorized and tagged holidays, jalousie, st lucia. Bookmark the permalink.